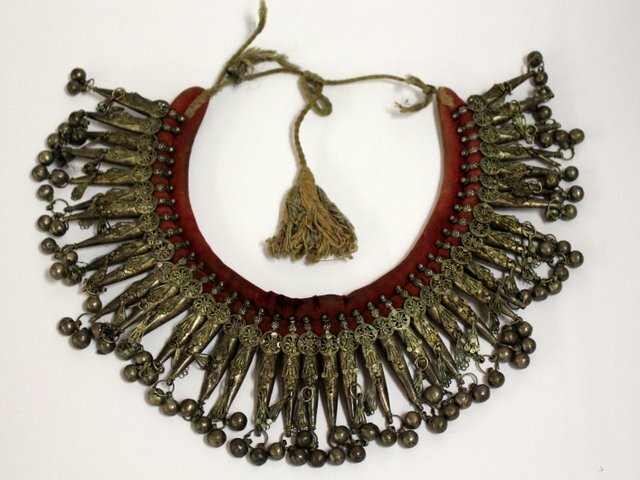 After the mass exodus of Yemenite Jews to Israel on the shelves of antique shops of Sana accumulated tons of elegant and valuable jewelry made ​​by Jewish craftsmen. 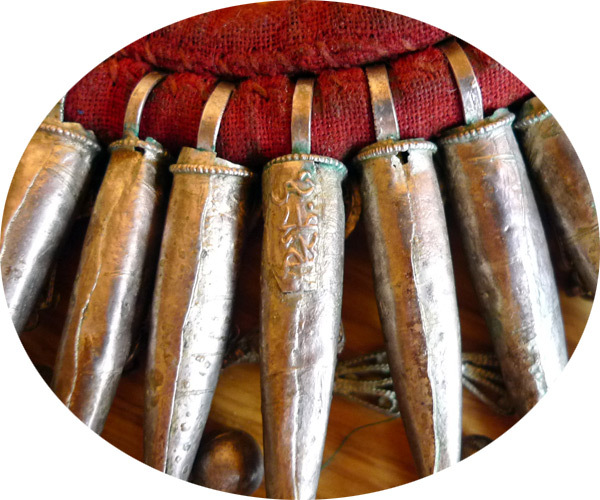 One of the most delicate products is the bousani; strictly speaking, it is not a headdress, but only one of its elements, a head adornment, which is a dense roll of fabric with sewn-on fringe of forty silver pendants, twisted into a conical shape, with bells on the ends. It’s an amazing lace work and it’s almost always unique because on the original bousani reverse side there is the master’s stamp (pictured). 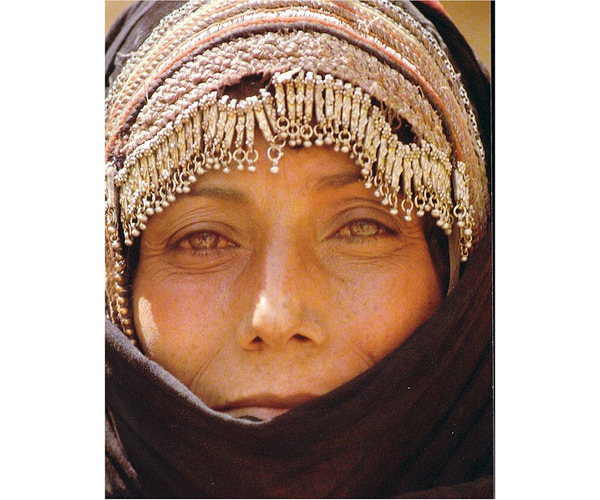 Even worn underneath a shawl the bousani always looks bright, although today it can be rarely seen worn by the women of Yemen.